Homeschool statute: Parents must submit one-time notification to the local school district and must provide instruction in reading, grammar, math, social studies, and science. There are no parent qualification, hours of instruction, bookkeeping, or assessment requirements. “‘Homeschool’ means a nonpublic school conducted primarily by the parent, guardian or other person who has custody of the child or nonpublic instruction provided in the child’s home.” See Ariz. Rev. Stat. § 15-802(G)(2) In several areas, homeschools operate under the same law used for private schools. However, they are not considered private schools. For the entire statute, see Ariz. Rev. Stat. § 15-802. Notification: Parents must file an affidavit of intent with the local superintendent within thirty days of beginning to homeschool, and within thirty days of ceasing to homeschool (this affidavit is not annual). This affidavit must state that the child is being provided with instruction in a homeschool and must include (a) The child’s name; (b) The child’s date of birth; (c) The current address of the school the child is attending; and (d) The names, telephone numbers and addresses of the persons who currently have custody of the child. This affidavit must also include a copy of the child’s birth certificate or other proof of identity or age. See Ariz. Rev. Stat. § 15-802(B)(2), § 15-802(C), and § 15-828. Subjects: Reading, grammar, mathematics, social studies and science. See Ariz. Rev. Stat. § 15-802(A). Intervention: Not filing an affidavit of intent is considered a petty offense. Failing to provide instruction in a homeschool is a class 3 misdemeanor. See Ariz. Rev. Stat. § 15-802(E). Educational neglect is not included in the state’s definition of neglect. Other: State law prohibits superintendents from requiring the testing of homeschooled students while they are being homeschooled. See Ariz. Rev. Stat. § 15-745. Extracurriculars: “A child who resides within the attendance area of a public school and who is homeschooled shall be allowed to try out for interscholastic activities on behalf of the public school in the same manner as a pupil who is enrolled in that public school.” See Ariz. Rev. Stat. § 15-802.01. Disabilities: Homeschooled students with disabilities are eligible for testing in their local public schools, and may also have access to services offered through these schools. This is because state law considers home-schooled students private school students for the purposes of funding for students with disabilities, including IDEA. See Ariz. Rev. Stat. § 15-763(C, D). Other: If a previously homeschooled student enrolls in public school, the county superintendent may have the student tested to determine the student’s appropriate grade level. See Ariz. Rev. Stat. § 15-745. 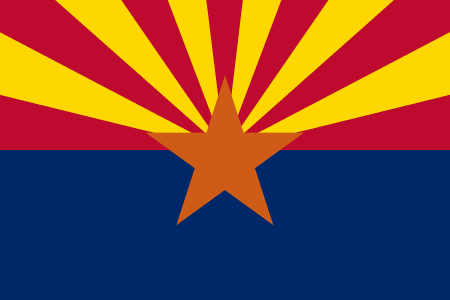 The Arizona legislature passed a homeschool statute in 1982, requiring parents to pass a proficiency exam and students to take annual standardized tests. In 1993, the legislature removed the proficiency exam requirement, instead requiring parents to have a high school diploma or GED (this requirement, too, was later removed). In 1995, the legislature removed the testing requirement from the state’s homeschool statute. For more, see A History of Homeschooling in Arizona.